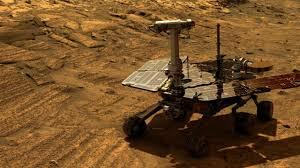 Scientists fear that Opportunity, a mars rover may have died after it went into hibernation in June last year, a massive dust storm hit its location and may have blocked the sunlight from reaching its solar panels, Opportunity uses solar panels to generate power. The last signal that came from the rover was received last year in June 10, 2018, NASA was not able to communicate after a storm hit the location of the rover in the western part of the Perseverance Valley, and they believe that the storm may have blocked its Solar Panels from receiving sunlight. Even after the storm passed from Perseverance, the 15-year-old mars rover did not communicate back. Engineers in the JPL (Jet Propulsion Laboratory) are still putting constant efforts to transmit new commands that may bring Opportunity back in communication with Earth. The new set of commands will be send in the next couple of weeks, Nasa said that they are looking at everything and are putting in maximum effort to bring back Opportunity. Callas, project manager for Opportunity said:”We have and will continue to use multiple techniques in our attempts to contact the rover,” He added: “Over the past seven months, we have attempted to contact Opportunity over 600 times. Mars is nearing its southern winter season, this will bring low temperature to the area where Opportunity was last seen, the low temperatures can cause irreparable damages to the rover’s batteries, wiring, and computer systems. Opportunity and Spirit were launched by NASA at Cape Canaveral back in 2003. Spirit reached Mars in 2004, the mission lasted 7 years and ended in 2011.